This post is for you, all the back to school ladies, or just ladies that sometimes feel pressured by the world to change your convictions or faith! Stand strong in what you believe, stand true to the convictions and revelations the Lord has brought upon you through prayer and the study of His word. Sometimes it can be hard, when others are so different than you and you can’t relate to anything they say or do, and you can start to feel lonely. However, you can overcome! You don’t need to change to be accepted. Stand true to your faith and to the modesty convictions God has place on you. You don’t need to dress, act or conduct yourself like the world to reach your goals, aspirations or even friends! Be yourself, be true to the God who dwells in you. You are not alone, beautiful one. It may seem like you are alone when no one else around you believes in what you do and sometimes you might question is all this “BE THE LIGHT” stuff really worth it? 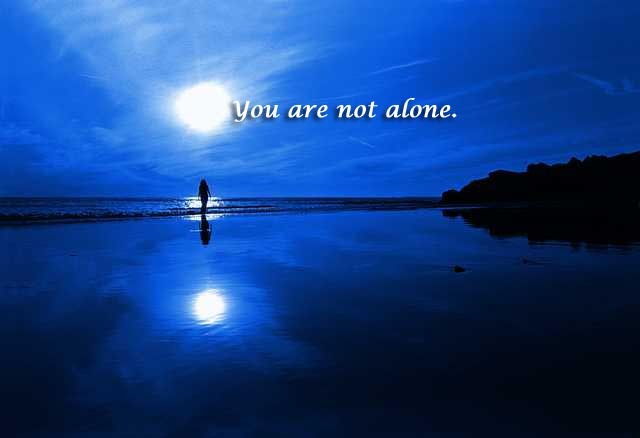 I can say, YES and also, remind you as the Lord reminded Elijah, you are not alone. When everyone else bowed to Baal and it seemed like only Elijah had enough zeal to follow the One True God and His commandments, the Lord spoke words of encouragement to him. Elijah felt alone, because He had concentrated on what he saw in front of him. What he didn’t see were those 7000 in Israel who had not bowed down to Baal and where Zealous of the Lord’s commandments as well! Aside from Jesus, who fills our loneliness, Elijah had brethren whom he did not see, but were also zealously serving the Lord and not Baal, He wasn’t alone! Let me remind you ladies, you are not alone. If you ever need encouragement to go on, find your brethren, mentors, counsellors in Christ and you will see you are not alone. Someone has already gone through what you are going through and the Lord let them go through it, to be an aid for your time of need. Stand true to your faith, to your convictions, to modesty. Be the light, be different, spread the Gospel with everything you are. Represent the most High with honor and dignity and you will be rewarded in ways you could never repay. well said - and encouraging! ...and thank you for stopping by to read. One Day Sale at The Shop!